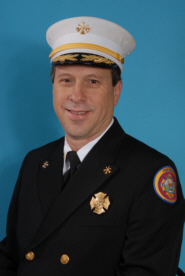 District Chief Chris E. Mickal entered the New Orleans Fire Department as a Firefighter in 1980. He was photographing fire scenes for 9 years prior to that. He was promoted to Captain in 1995 and to District Chief in 2001. He was also one of the founding members of the Department’s Photo Unit. His photographs have appeared in most major fire magazines, journals, and educational materials. He is a past President of the International Fire Photographers Association.